Large-scale drill expected to continue for several days, during which there will be loud explosions and noticeable traffic in the area. This morning, Sunday, a surprise large-scale military exercise began in the Golan Heights. The exercise is expected to continue for several days, during which heavy traffic will be felt and explosions will be heard. In addition, as part of the exercise, an automatic dialer was activated to recruit reservists. 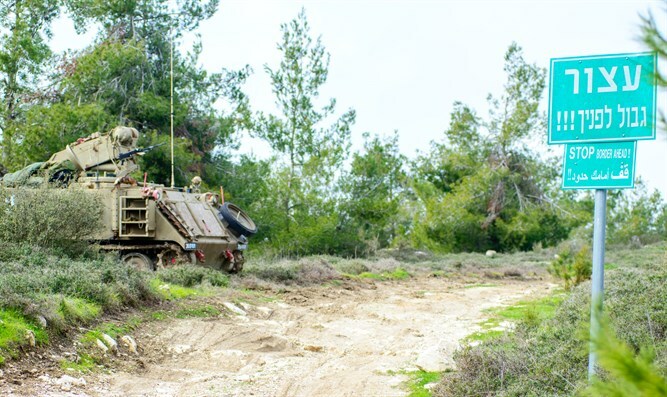 The IDF Spokesman emphasized that the exercise was planned in advance as part of training drills for 2018 and is intended to maintain the fitness and readiness of forces. Prime Minister Netanyahu last week sent a threatening message to Syrian President Bashar al-Assad while on a visit in London. "He is no longer immune, his regime is no longer immune. If he fires at us, we will destroy his forces," Netanyahu said, speaking at an event organized by the Policy Exchange think tank. "I think there is a new calculus that has to take place and Syria has to understand that Israel will not tolerate the Iranian military entrenchment in Syria against Israel," he said. "The consequences are not merely to the Iranian forces there but to the Assad regime as well," he said, adding: "I think it's something that he should consider very seriously."